This week, it@cork kicked off its 2017 Tech Talk series at the brand-new Republic of Work facility in Cork city. Republic of Work CEO DC Cahalane clearly took pride in showcasing his latest venture to the local business and tech community. The facility is a well-designed co-working space that offers a host of ancillary supports (such as administrative, legal, financial, and design), through a ‘business concierge’ service. Ronan Murphy, it@cork chairperson, opened the event. He introduced TWi’s Business Development Manager, Emmet Kearney, who gave a soap box presentation outlining the services TWi provides to support content creation and knowledge management. Ronan Murphy, DC Cahalane, and Emmet Kearney. Image by Gerard McCarthy. Following this, DC Cahalane gave a talk on ‘The Future of Work’. Cahalane is an entrepreneur with an impressive track record of start-up success, who took inspiration for his latest initiative from the model pioneered by WeWork. For DC, changes in the nature of work centre on the shifting relations between people, products, and processes. The pace of change is driven by an increasing emphasis on agility and demand-responsiveness. DC touched on the implications of technologies such as artificial intelligence, advanced automation, augmented reality, and 3D printing for future work practices. As we discussed in a previous post on the internet of things, new business models are forming in response to such technological advances. DC asserted that work will be assigned and measured in terms of performance and delivering results, rather than being based on time and location (clocking in and out, having to be at a particular site). This change requires short contracts and an infrastructure that facilitates rapid up-scaling and down-scaling. Acknowledging that such changes are daunting, particularly the prospects of eroding job security and displacement of human workers by robots, DC’s attitude is resolutely positive, emphasising the advantages and opportunities. He argued that the transition to more fluid structures of work matches the world view of younger people who are willingly mobile, amenable to remote working, and don’t expect to be in a job longer than three years. Instead of resisting such changes, DC argues that we need to prepare and adapt, finding ways to generate more meaningful, challenging work. Skilled and specialised workers who are open to change can take advantage of more varied and interesting career trajectories. The services offered by Republic of Work are designed to respond to, facilitate, and encourage the evolving work practices DC Cahalane described. The membership structure seeks to cultivate a collaborative community of individuals or small teams from a diverse array of start-ups, multi-nationals, public sector bodies, community, or non-profit organisations. The concept is not just about providing a space for working; it’s about enabling companies to put a cost on the wider infrastructure that workers require, making it easier to achieve efficiencies of scale. 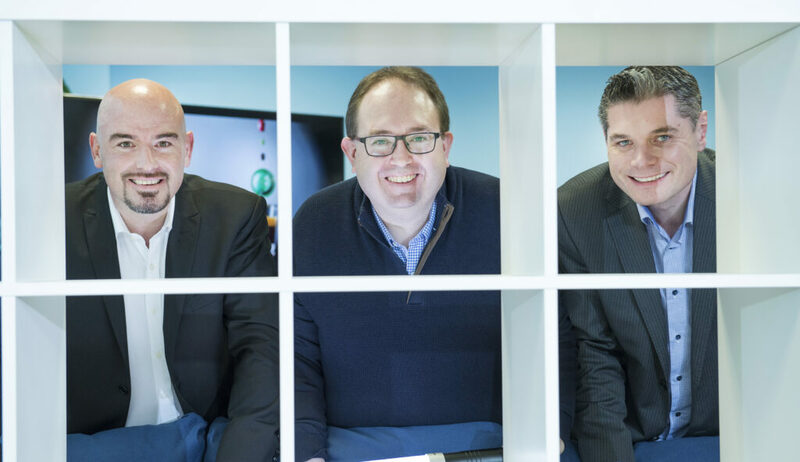 Best wishes to the team at Republic of Work – we look forward to seeing the venture progress. And thanks to it@cork for organising a timely and thought-provoking tech talk.